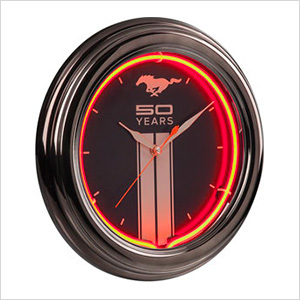 Time marches on and the celebration continues with the Mustang Fifty Years Neon Clock. 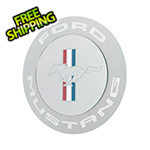 Hand bent red neon accents the Mustang Fifty Years logo and injection molded gunmetal housing. 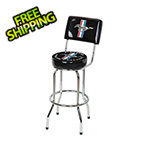 Includes AA battery operated Quartz clock movement and UL Listed neon power adapter.